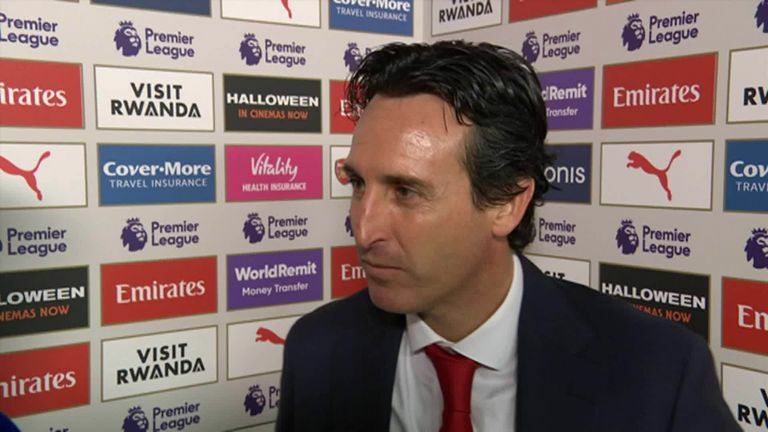 Unai Emery praised Arsenal's "heart" after they came from behind to beat Leicester 3-1 on Monday Night Football. A brilliant display from Mesut Ozil was integral as Arsenal won their 10th game in a row in all competitions. 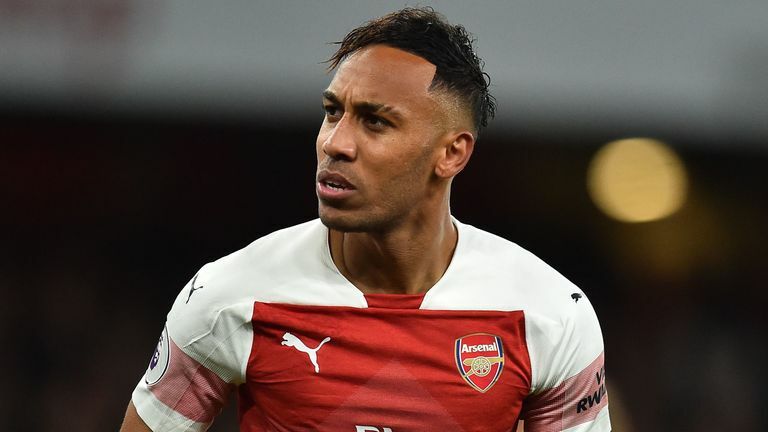 Ozil levelled the game at 1-1 before half-time and then played a key role in substitute Pierre-Emerick Aubameyang scoring the second and third goals. "We won today when we started playing with heart," said Arsenal boss Emery. "The first 30 minutes we didn't control the match with the possession and we suffered, but we are happy because this is our progression, our way and we need to re-organise and play with heart. "Our demands are very high because we need to control matches more than now, but today for example the first 30 minutes we didn't play good but then for 60 minutes the team played with quality, organisation, and heart and the atmosphere with the supporters is very important. "This feeling is good and tonight was our best things." Asked about the man-of-the-match performance from Ozil, who was captaining Arsenal for the first time in the Premier League, Emery added: "We need 10 players with Mesut, sometimes with Aaron, also we can play with both sometimes, and the last away match at Fulham we played with two strikers and it was a very good performance too.